We’ve built up quite an expertise in renewable energy systems, especially biomass boilers. Have a closer look at some of the projects we’ve undertaken and the related costs involved – and the ongoing returns! 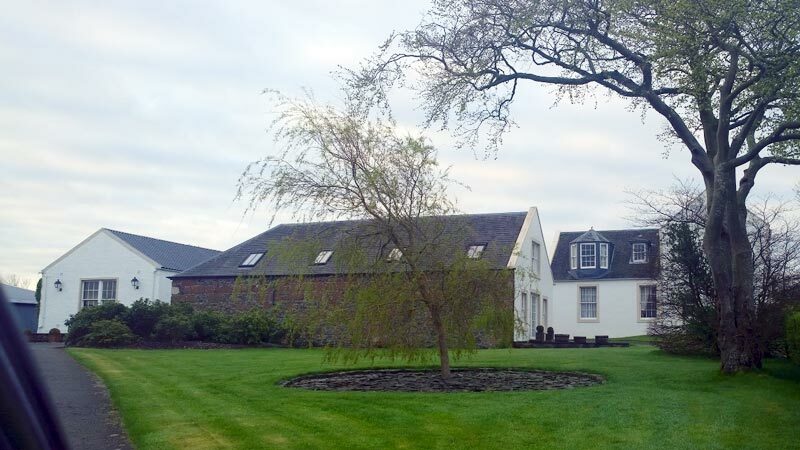 We fitted two ETA 95Kw pellet stoves for Mr Rankin of Heads of Ayr Farmpark. This was all housed in a purpose built plant room 20’ container fabricated to suit and finished in the customer’s choice of finish. 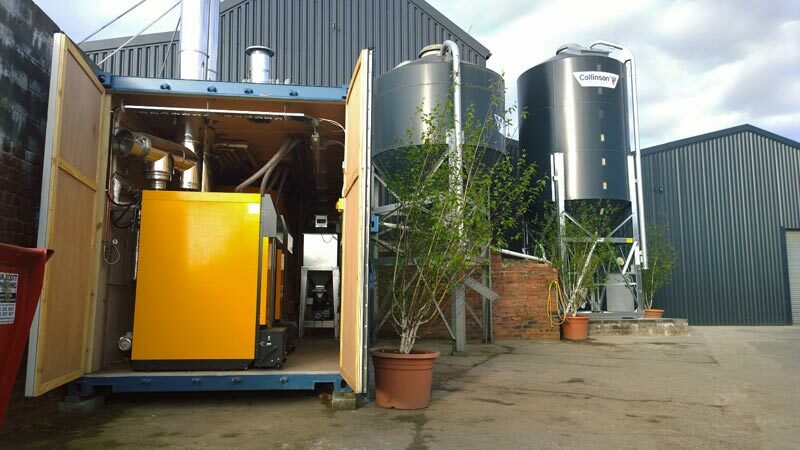 The biomass boiler was fed from a 14 ton Collinson pellet silo complete with dust extractor and twin auger set. These are used to provide heating for the various different play areas as well as all hot water requirements for the Farm Park. We also fitted a 60Kw heater unit to heat the restaurant along with overhead radiant panel heaters for the gift shop and store. We supplied and installed a ETA 90kw pellet boiler stove for Mr Hamilton of Barmoorhill Farm, this is used to heat the farmhouse, dairy and shed. In conjunction with this we fitted a 2200 litre buffer tank complete with all safety valves and insulation. We fitted 2 x 300 hot water cylinders to give hot water instantly to farm house, shed and dairy water unit, including immerser backup and solar coil for rapid recovery linked to standard coil. Alastair and Marianne Wilson were building a new home in the small village of Lendal Foot, South of Girvan. They previously had a small holiday cottage on the site but were retiring and building a more substantial home. The couple were looking to become more energy efficient and environmentally responsible. The area is not on the national gas grid and the Wilsons had previously experienced large electricity bills from the small cottage. Jim Faulds, Gibson and Goolds renewable energy expert, met with the Wilsons and made recommendations on the most suitable solutions based on their unique set of circumstances. 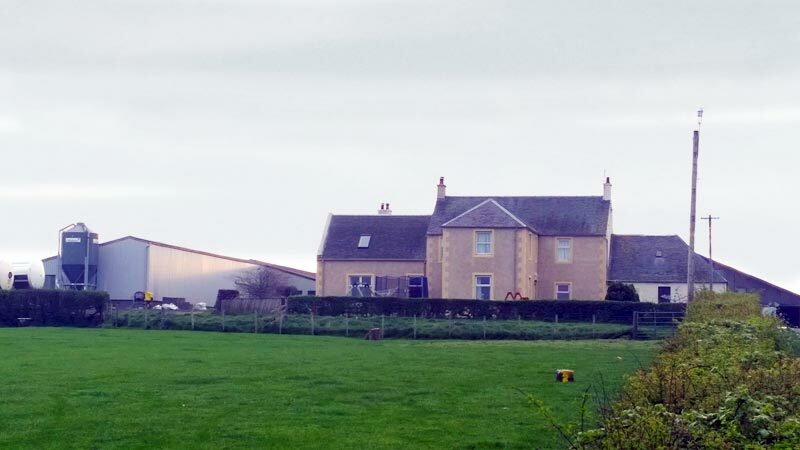 As part of the solution, Gibson and Goold purchased and installed an air source heat pump, chosen as being cost-effective and quick to install, with lower running costs compared with LPG, elecricity and oil. We also fitted underfloor heating as the Wilson’s home has a large amount of glass and a lack of available wall space. In addition to managing all the heating and plumbing, Gibson and Goold also installed a wood burner as a backup, just in case of disruption to their electricity supply. The result is a significantly more energy-efficient and warmer home, with large reductions in monthly bills that will offset the initial investment within 10 years. The community-run Garrison House has an oil-fired heating system installed around ten years ago to a high standard as part of extensive renovation works. 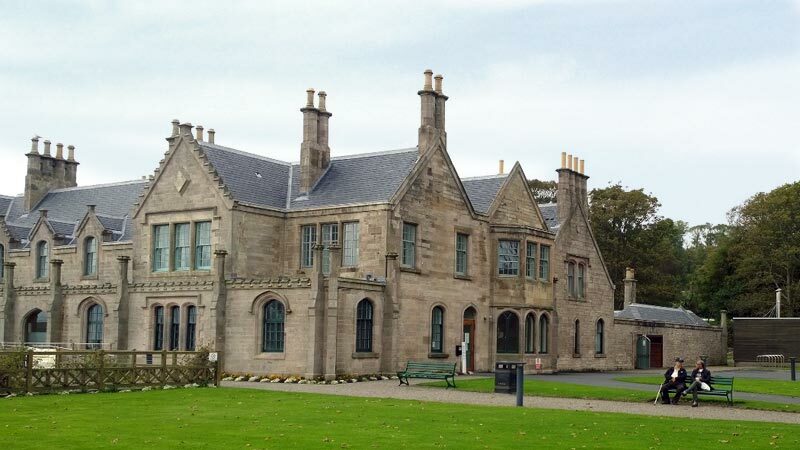 As part of a recent Energy Audit through Ms Abbe Cusack of Resource Efficient Scotland, finance for the recommended improvements was arranged through Energy Scotland. After installation planning with GHCL’s CEO Michael Bertram and Bob Campbell, Gibson & Goold won the tender to install a cost-effective and environmentally sound alternative system using Austrian ETA wood pellet boilers. Minor alterations were made to the existing boilerhouse to allow installation of a 10-tonne fuel store with an automatic filling system and along with amendments to the existing BMS control system, the new boilers provide 100% of the heating demand. An existing oil boiler has been retained to give an automatic backup system, all fully controlled by the new boilers with weather compensation feeding into the underfloor and conventional radiator systems. The twin boiler installation works in cascade, with either or both boilers firing to meet the current demand and with automatic cleaning and de-ashing, the only user input is to order fuel and empty the ashboxes monthly. 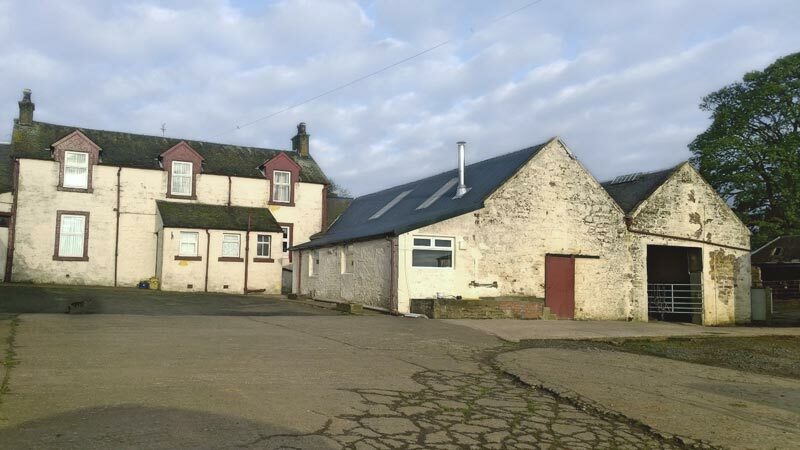 We fitted a ETA Hack 50kW chip and pellet boiler for Mr Hunter at Hallrig farm complete with 1100 litre buffer tank, and fuel store for the chips and pellet. This was fitted to heat the farm house as well as office. 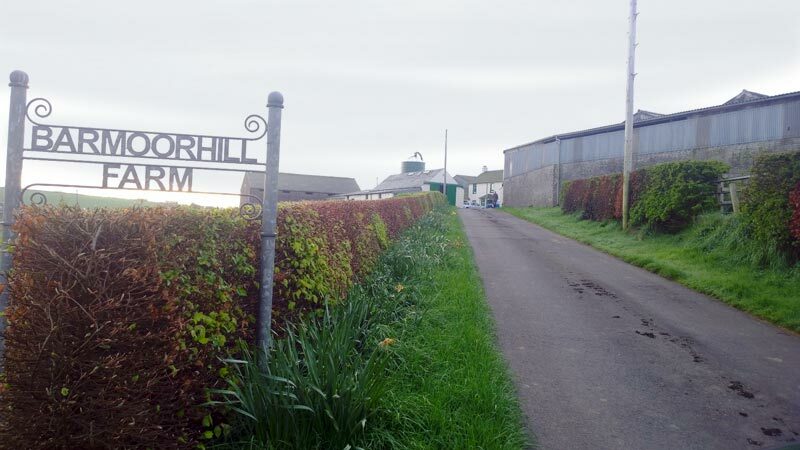 We supplied and fitted a Central Log boiler for Mr & Mrs Craig at Mount Fergusson Farm. This is used to link both existing oil boilers and new wood boiler so that any combination of boilers can be used to heat any part of the heating system. We supplied and fitted new controls, valves and pumps to allow this, and rewired time controls. 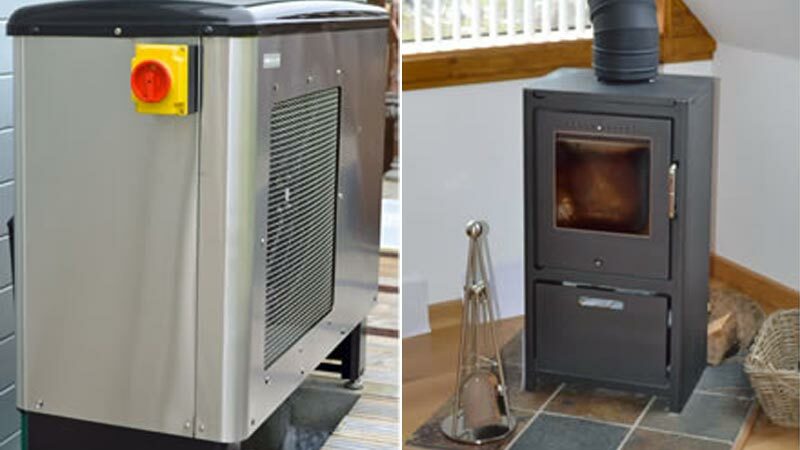 This allows the cottage oil boiler to heat the main house and vice versa. The system allows the wood boiler to heat all the buildings as required, with the oil boilers still available to use at the touch of a switch as before, and additional switches installed to choose which boilers fire. We fitted an ETA 199kW Hack pellet/chip boiler, complete with 2200 litre buffer tank, for Mr Kerr of Raith Farm at Monkton. The boiler is used to heat the dairy along with farm house. We fitted hot air heater to heat the dairy parlour, and new radiators were fitted to the new office area. We also adapted the existing system to allow the existing Stanley cooker to allow dual use.